TGIF! On this Friday before Thanksgiving, I have a quick post for you. 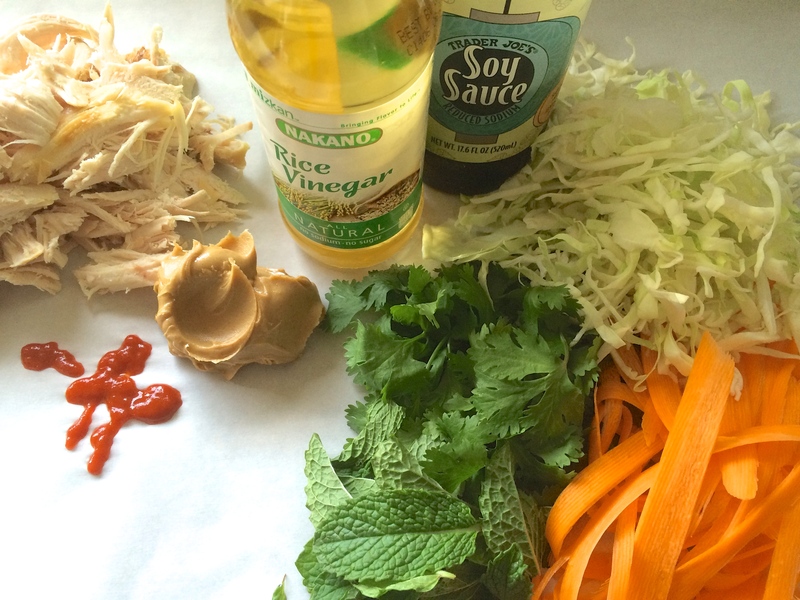 If you are lucky to have leftover turkey after the big meal, I suggest you throw together this quick salad. This salad is bright, crunchy and fresh. Perfect for the day after that heavy meal that puts us all into a tryptophan coma. Best of all, it only takes a few minutes to throw together! 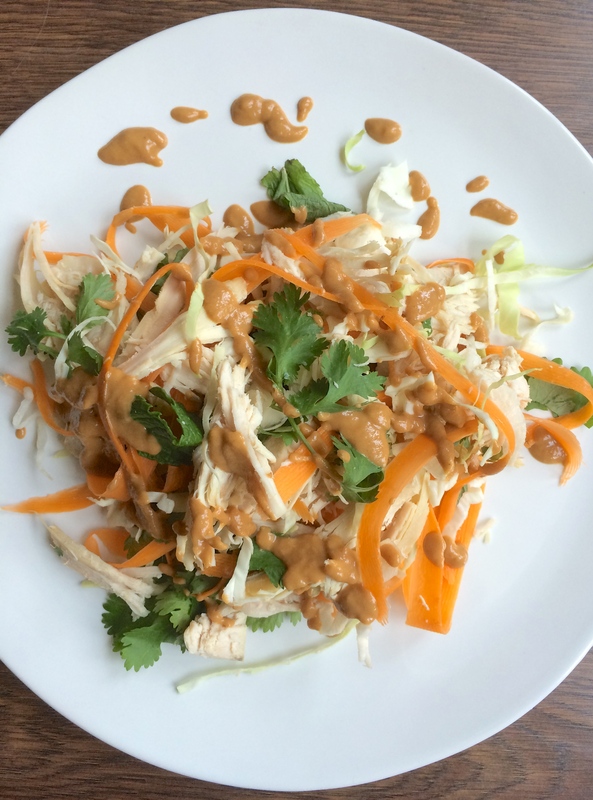 Turkey Salad with Peanut Dressing adapted from Bon Appetit November 2014. Serves 4. 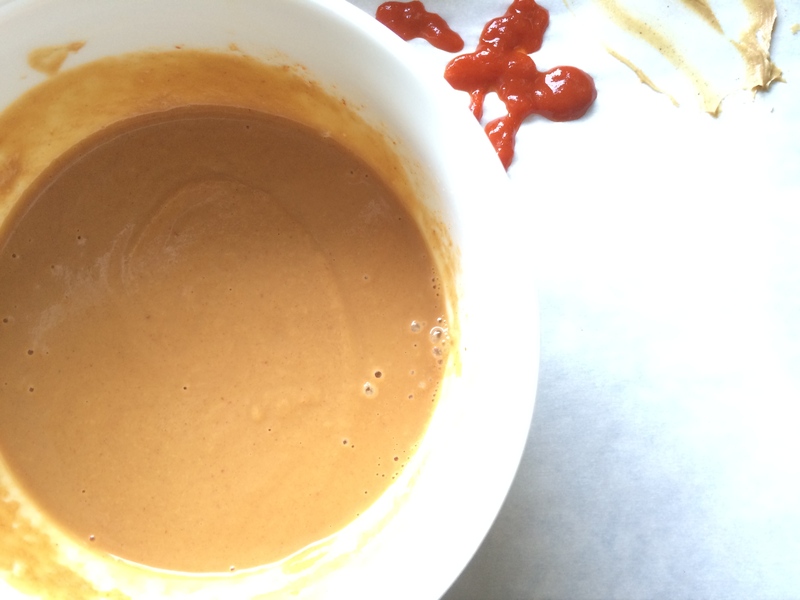 Whisk peanut butter, rice vinegar, soy sauce, and Sriracha in a small bowl. 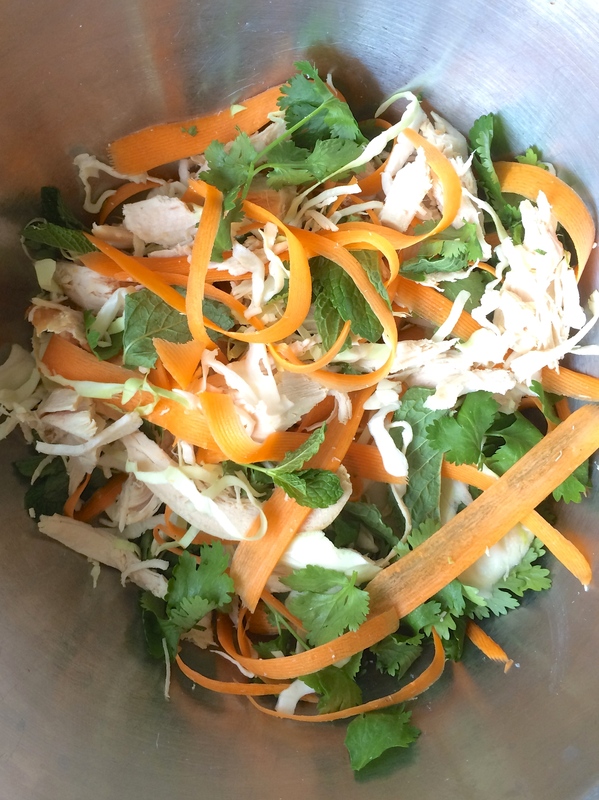 Mix turkey, cabbage, cilantro, and mint in a large bowl. Shave carrot lengthwise with a vegetable peeler and toss into the salad. 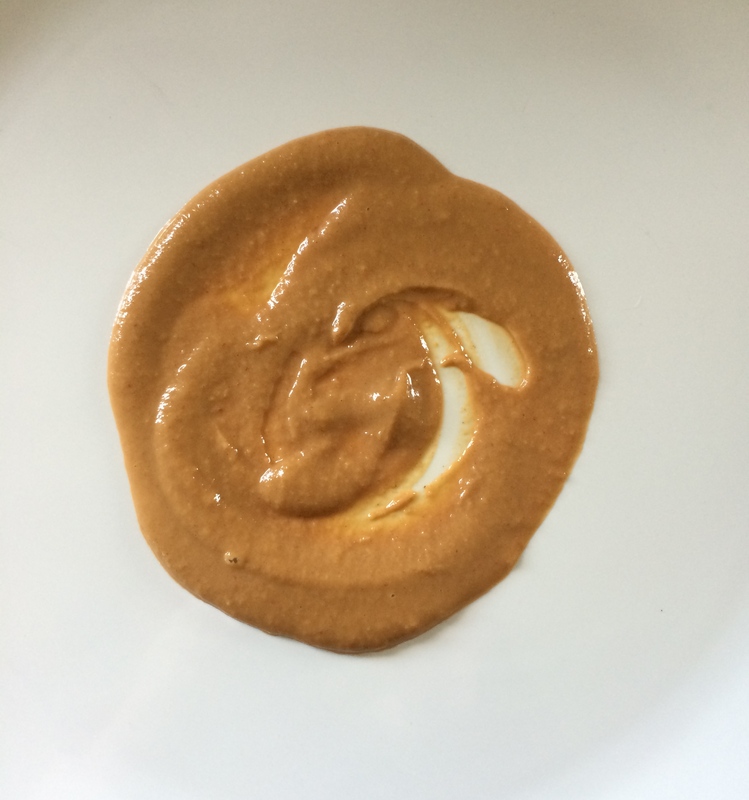 Spoon some of the peanut dressing onto serving plates. 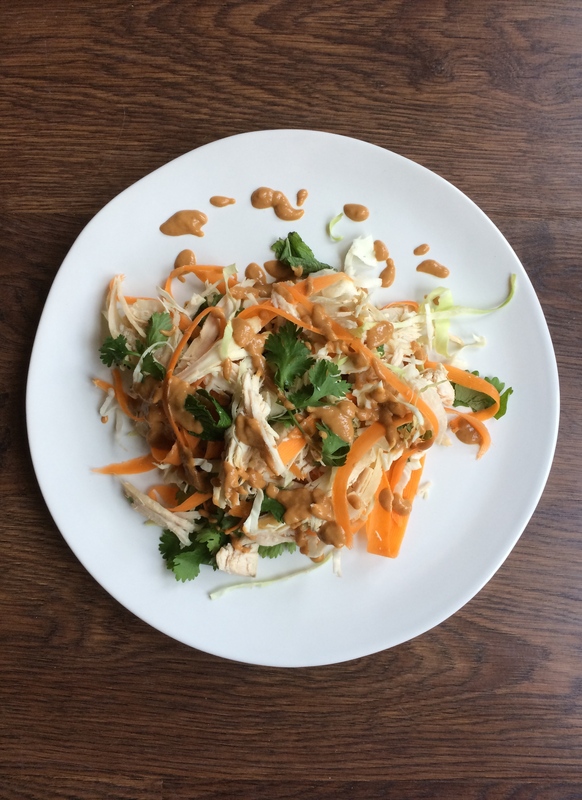 Mound salad on top, drizzle with more dressing and serve. A refreshing salad for the day after Thanksgiving! Wishing you all a wonderful Thanksgiving! Cheers! Looks great! Will try it!